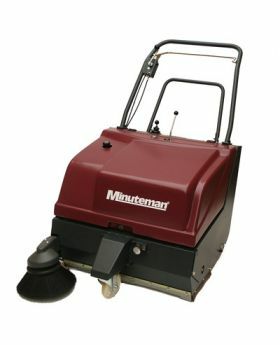 Shop our selection of Minuteman Walk-Behind Sweepers. We offer two excellent performing models - Kleen Sweep 27M and Kleen Sweep 35W - that cover 24,757 and 36,600 square feet per hour respectfully. These floor sweepers work up to ten times faster than manual sweeping with a dustpan and brush. Used to clean all types of floors including carpet and hard floors.